As part of Craft NI August Craft Month 2017 I am hosting three workshops. Please see details below. 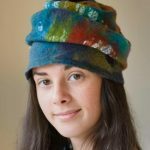 Create your own stylish hat to fit and flatter you! Book now! 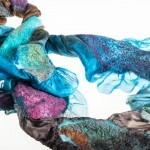 Make your very own luxury silk scarf from hand-dyed silk fabric, embellish with silk hankies and felt. 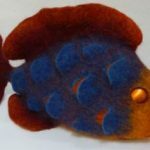 This one day workshop is suitable for those with some felting experience. All materials will be provided but you will be required to bring your own equipment. For further details please see attached booking form.